A favorite past time nowadays is playing video games. We think of the Nintendo Wii, or the X Box 360, or the Play Station 3. Or some others prefer the Hand-Held like the DS or PSP. We have all this free time to waste so we are all able to play them. New games are always coming out for about $50 each. But in China students don’t spend their money on new video games. Most of them don’t own any systems. That doesn’t mean that there aren’t any, but they are very rare to see. There are a lot of fake PSP and other hand helds. But they aren’t interested in buying these things. This doesn’t mean that they don’t play games, they do. They play their video games through the computer. They are huge computer games fans. The most popular game is Cross Fire. It’s an online game where you could play with friends or random people. My brother Peter showed me this game. There are many other games. There are other shooting games and adventure games. There are also other types of games, most games are based on war. Another popular game is a studying game. I don’t know the game itself but Peter, Lucy and Iris told me about it. It seems to be another popular fun game. Another good thing about computer games are that they are free and easy to get. But they have to be careful for viruses. But these students don’t play these games all the time. Maybe for a short period of time in the weekend. Maybe that’s something we could learn from them. The music of China is a very unique part of the culture of China. Cultural music in china usually contains drums, bells, and flutes which come in many different sizes, shapes, and materials. In China i saw drums that were small, big, huge, short, and tall. These drums were also in many shapes such as octagons, circular, and many more shapes. The drums were made of all sorts of materials such as wood, stone, metal, and much more. These weren't as simple as just size, shape, and material they were much more complex in that they were very detailed with many colors and different drawings of animals, flowers, shapes, writings, and they sometimes also had accessories hanging of them. The bells were more simple then the drums were because the bells were just eight bells hanging of wood with spikes, writing, or drawings on them and they weren't as colorful as the drums were. The flutes were more like the bells as well because they were just in different sizes with different pictures and they were all brown. These instruments weren't all about how cool they looked, it was more about what they could with the right person handling them, which was the true beauty behind these instruments. To most Americans the People’s Republic of China’s Communist government is one that threatens America and jeopardizes Chinese lives for the benefit of their national economy. However, the Chinese people seem to have a different perspective of their own government. China, known for its many intellectuals, fails to inform its people of political matters that deal with Taiwan and critical opinion of China. Taiwan claims to be a separate country from mainland China and is in the midst of fighting for its independence. Yet, when presented with this fact Peter, one of the Chinese students, was shocked. He asked Ms. McMurdo for a clarification of the situation. Once Ms. McMurdo’s explanation concluded, Mina, the Chinese teacher, turned to Ms. McMurdo and asked her to not speak of the issue because the students are not taught about it in school. Additionally, the Chinese government continues to censor the information that travels through its people. China censors political speech and information, including on the Internet, which is why when attempting to log onto American websites such as YouTube and Facebook one will find an “error” on their screen. The second part of the exchange club had begun – the New York experience. We were determined to show the Chinese students a good time! Every day was packed with activities that would be enjoyable to foreigners; however, one particular day stands out. It was the day before the Chinese students were going back to China, the night before Manny, my Chinese sister, was really into American films so I offered to take her out to the movies. We found ourselves in 34th and bought two movie tickets to see Something Borrowed. The movie didn’t start for another two hours so we decided to go shopping first. She wanted to buy makeup for her mother so I took her to Sephora where an employee proceeded to help her. She then said she wanted to buy some shoes for herself and a tie for her father so we went to Macys. After the shopping we went to go see the movie, and while she didn’t understand some of the jokes she seemed to be amused by the leading man. After the Movies we headed over to Michael’s barbeque. Almost everyone was there, the six American students, the five Chinese students, some of the parents, Minna, Ms.McMurdo, and Ms.Larson (Ms.Lo was there in spirit). A lot of amazing food was served, and the music was playing. We all gathered in the living room and danced merengue, bachata, salsa, and disco together. We then broke out into different activities, some of us played cards, and some played monkey in the middle, we were all having a blast – but then the idea that the experience was coming to an end rushed in. The Chinese and American students decided to go into Michael’s room and talk, for the last time. We told each other our favorite parts of the experience and how close we felt to one another, we joked around, made a few love matches, and realized how lucky we were to be in the position that we were all in. So we’ve finally arrived to our own city. The Big Apple! Now we only had one week to catch up on or rest and sleeping, oh and homework too. Then the students came to New York. This is where the fun began for the second time. After we picked them up at the airport we separated. We took Peter to eat, since he was more hungry than tired. We ate the usual, rice, beans, chicken and beef. We let him try both beef and chicken. He surprised us by bringing some more tea that the father always made. Since it was late we didn’t do much, especially with him almost knocking out. This time it was my turn to take care and lookout for Peter. It was funny how we really did grow a bond as brothers. We kept playing jokes and pranks on each other. We kind of figured out the each other’s secret. And we talked like we were brothers. I guess all that time being together and having each other’s back made this possible. We went to go buy some souvenirs. He bought like one or two things the first time. The parents thought it would be good to take them out to a restaurant together. So we all went to Olive Garden. There was two funny things I noticed. One was that my father was sitting on one the end side of the table and I was sitting on the other side. 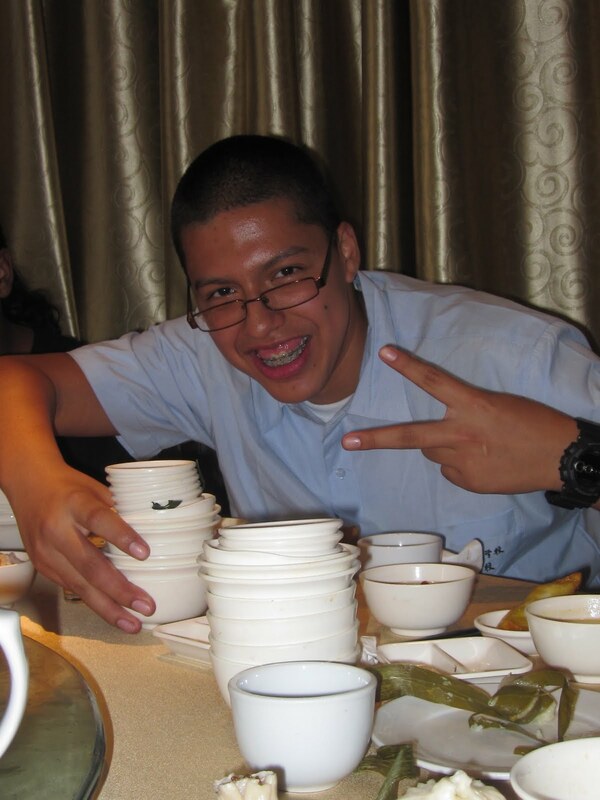 Second was that it was funny seeing the Chinese Students eating. They couldn’t eat their beef because it was hard for them to cut it. They were also a bit more relaxed and laid back than in China. The next few days the teacher took us all out to some sights and to eat at a restaurant. Peter kept asking when we would eat at home again. But to his surprise we took him to visit one of my aunts. There we ate some rice, lentils, and some other style of beef. He loved it. My aunt and uncle were very happy. They then gave him a present. This reminded me of when I went to Peter’s grandparents. I started to realize that I missed them all. During the time that Tim, the student i was hosting who stood in my house i was a bit unsure about how things were going to happen. But it all turned out to be great. I say this because while I was hosting I had a lot of time to spend with him and to teach him a little bit about my culture and american culture. The first night he arrived to the U.S. my parents, my friend, and I took Tim to a Dominican restaurant to show him that we welcome him to our home and to have him eat because my parents weren't really in the mood for cooking. The second day I took Tim to the park in front of my building to play some american basketball with my stepfather,two friends of mine, some random people in the park, and I. From the looks of it I think he really enjoyed basketball at the park because of two reasons, one because basketball is his favorite sport and two because I think he saw the differences of basketball here in America then the one in China. The rest of the time while he was in my home we went out to eat dinner at restaurants and to take the Chinese people out to see and explore New York. During the first week the Chinese people had a trip to Washington D.C. where they visited the Niagara Falls. When they returned we kept them busy every day by visiting restaurants and each others homes to get to know each other more and just have fun while hanging out together. I really enjoyed having Tim staying over at my home, and if i were to ever get another chance to do it I would do it again! At the beginning of meeting my host student I was very excited and ready for the new experience. My China trip was still a fresh memory but I was still tired. After a day or two, I noticed Lucy didn’t really want to try new food, or go anywhere. She just wanted to shop. My family was really welcoming and we worked together to keep Lucy comfortable. I wished her and the Chinese kids would’ve taken more advantage of this experience and would’ve tried all foods, with no excuses and no faces. I really enjoyed the times everyone spent together, at times we really bonded and many laughs. This experience really made me see the differences between cultures, the aways Lucy and the Chinese kids were raised, and their different personalities compared to us. Hosting someone was really hard and it was nearly impossible to keep up with homework, but I don’t regret the experience. I’m glad that everyone bonded like a family and I think that’s the best thing the American kids wanted. We just wished our host brothers and sisters were more open to new things. I also wished Lucy would’ve been more social with me. I think it would’ve been nice if we went to trips with the kids like Empire State building and Bronx Zoo. Hopefully the Chinese kids stay in touch! And the Americans’ bond doesn’t change. I enjoyed the things I told Lucy about the city, and learned stuff I didn’t even know. I hope she listened and will never forget what she learned and saw to compare and contrast China and New York. Our first morning reunited was fun--it basically entailed the kids comparing notes on what each house had and what they'd eaten for breakfast, and they quickly realized that there's just as much variety among Chinese households as there is among American. After fueling up in the school cafeteria, they were off to classes to see what Chinese school is really like. Let's just say we heard a lot of "the teachers talk the whole time! ", "they have way too much homework", and "can we have 10-minute cookie breaks, too?" Eventually, we settled into a routine of attending the cultural classes Nanjing Academy prepared for us: Wushu (martial arts), calligraphy, pottery, bamboo dance, and ping pong! We pretty much discovered that Keyla has a secret Chinese gene and is good at everything. We also had our bonding moments with the group, including hot pot, karaoke, and some kind of traditional Nanjing style small dish meal (there were 16 tiny bowls for each of us), during which Tim and Michael raced to see who could eat the most duck blood pudding. It's amazing to see that teenagers from such different cultures can bond so quickly! I guess young people share certain qualities and concerns the world round. Throughout our whole experience, Ms Lo and I remained very impressed with our own students' curiosity, patience, and maturity in each new encounter with Chinese culture. They were as adventurous as we could hope them to be and fearless in trying such new things as frog legs and fish eyes. They really understood why we encouraged them to mingle with the Chinese students instead of forming their own little American clique and displayed impressive leadership in doing so. Go Marble Hillians! As for us teachers, this was a rare and wonderful opportunity to see our students grow right before our eyes. Peter picked me up with his uncle. We went to his grandparents’ house who were preparing a meal for me. Homemade cChinese dumplings! So before the food was ready, Peter and I walked around a bit. I met their 4-month-old dog, Chocolate. During our walk I learned a lot about Peter.. After our walk, our meal was ready. I was glad that for breakfast I shared some noodles from Alex, because I had A LOT of dumplings in my bowl. I also had spicy lamb leg. It was big, but delicious. The family smiled ad said I knew how to use the chopsticks very well. They found out I loved beef and pork. After lunch, we went home. Peter’s mom is a teacher and his dad was in the army and is now a professor for the army. Peter’s mom took me to Sun Yatsen’s coffin and mausoleum. We took lots of pictures and then walked around. I learned more about Peter and what he plans for his future. He admires his grandpa for being a hard worker. When we came back the dad had prepared noodles where were good. Then the dad prepared us tea twenty minutes later. After that we watched some basketball. On Monday, Peter woke me up at 6am. I got ready quickly, ate breakfast, and brushed my teeth. Breakfast was bread, sausage, egg, apple juice, and ricey water. It was all good. Then we left the house at 6:35. Peter lent me a light jacket because it was kind of chilly. Peter’s dad drove us to school, so we got there early. I met all the students in Peter’s class. They are all so friendly. I ran into Julian and Alex, who came running to say hi. We each went back to class, and Monica and Keyla were in my class as well. We read and observed the class. We got hungry during breaks so a few of our classmates gave me a chocolate cookie, and a cup to drink water from the back of the class. Well the rest of the week was a blast. 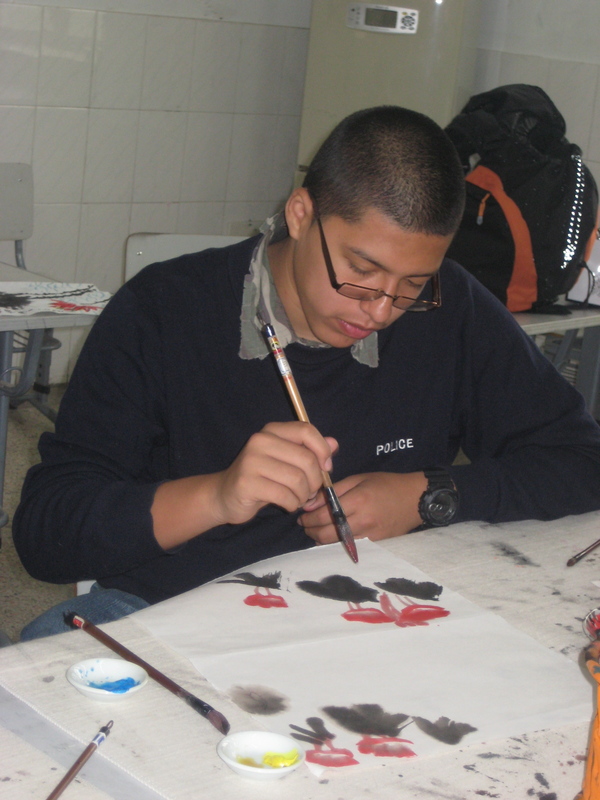 We went to school and had our own classes. On Tuesday all of us except Jose and Time, went to get some snacks, which were delicious. We had dinner, karaoke, games, and dances. We all boned closer to our host families. Peter’s parents were great, they loved that I ate a lot and drank a lot of tea. I played ping-pong a lot, I got better especially since I don’t play it much. At home we have an independent schedule, from when we left to school, to whatever goes on until it’s time to sleep. On Saturday I went on a motorcycle to a dinner with Peter, Tim, Jose, and John. I was the only one who clapped and talked to the server. I had a great time. The family gave me some gifts. I’m wearing one right now! I wish I could go back with the same people. My arrival in Nanjing after a 17 hour train ride, I started to feel nervous to meet my new family, at the train station. I was greeted by my host sister’s cousin and her dad. I went to her home which was really nice, but I awaited my host sister’s arrival from her weekend classes. Dinners at my host home were very good, and always made by Sophia’s grandparents. Sophia’s parents lived in her hometown because their jobs are there. To get to school every morning, I had to get up at 6am every morning, which I wasn’t used to. Me and Sophia would take a really nice and clean train to school, and went to the Nanjing Foreign Language School. The school was huge, and beautiful. The children were very outgoing, kind, and enjoyed my visit there. My stay with the host student was very different. The lifestyle wasn’t the same as American living. My student was always studying, and we didn’t spend a lot of time together. She was always on her phone, and talking to her friends. The experience was very different from my home and made me take more advantage of my home in New York and my family. Chinese culture and tradition is very beautiful and different from the US and I definitely saw that in my host home. My last weekend, I went to Sophia’s home town and met her mom, which was a really good experience. She treated my like another daughter. She maid more attention to me than the daughter! Her house was a beautiful 3-story house with spiral staircases. Her parents took me to a mountain nicknamed “Bamboo Sea” and late in a restaurant that served on wild animals. The next day I went to a factory that showed how they make purple clay tea pots and cups, which is really popular in that area. As a souvenir they mom gave me a purple clay teapot. Overall this experience with my host family was interesting and different. I learned many new things and it was really a once in a lifetime opportunity. I just wished me and my student would’ve bonded more. Living with my host family has been a great experience for many reasons. One of these reasons is because they make me feel right at home. Another reason is because they like to make me feel as if I don’t need to move a muscle because they try to do everything for me, even when I ask them repeatedly not to do everything for me. Time, my host student, has been like a big brother to me, because he’s always looking out for me and he’s always telling funny jokes. During most of the time I have spent with my host family, I’ve been busy finishing my schoolwork and reading a book. These were some of the things I did when I wasn’t at school or being entertained by the family. What the family did to keep me entertained was to take me out to a park to play basketball, or they’d put me to watch movies. During one of the days of the week, the family took us to a restaurant where I met some of my host student’s dad and friends. The food I’ve received from my host family has been some of the most delicious food I’ve ever tasted. Most of the food that I tasted was new and different from what I’ve eaten before. For example, I tried some kind of lamb which to me tasted a lot like chicken. Another new food I tasted was duck, which is something I’ve fallen in love with. I think that real Chinese food is better than American-Chinese food. We arrived in Nanjing on a Sunday. There we met our host family, well part of my host family. We got to Nanjing on a train from Xi’an. At the train station, my host sister and mother came to pick me up. As soon as we left, we went to eat pizza hut for lunch. Pizza Hut in China is like an Applebee’s in America, but better. On our ride home I found out many facts about my host sister. Her name is Fanny and she is 15 years old. Her birthday is on August 13th and she lives with her grandarents and mother. Her father also lives with them, but only when he comes home from work in another city. Once we arrived at their home, I was greeted by the grandparents. I slept in Fanny’s room while she slept with her mother. The rest of the day went smoothly, I took a nap while Fanny finished some homework and then we watched movies together. The next morning, I went to school with fanny. At her school, school begins at 7:20am and ends at 5:00pm. Each class is 45 minutes long with 10 minute breaks between classes. While in class, the teacher lectures and students are not allowed to ask questions. Teachers back home would really enjoy that. Fanny’s classmates were really friendly. 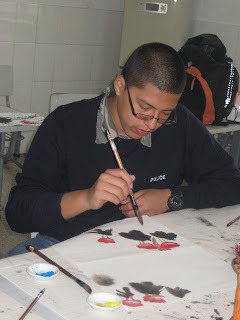 For the rest of the week the school organized specific classes for us: calligraphy, ping pong, martial arts, bamboo dance, kite flying, pottery, etc. Many of these classes were challenging, but fun. We also went sightseeing with the school. 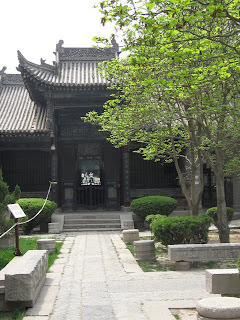 We visited Sun Yat-sen’s Mausoleum, the Nanjing Massacre Museum, and we also toured around the Confucius Temple. Fanny: Only three more days. Me: Yes, it went by so fast. I wish we had at least a month. Me: What do you mean no? Why not? Fanny: I wish it was a lifetime! The city of Xi’an is definitely a beautiful one. The city has thousands of years of ancient history. The two days we stayed in this city we visited a few different attractions. In our free day we visited the Great Mosque. I really enjoyed visiting this pace because it opened my eyes about the world. Honestly, I really didn’t know there were Chinese Muslims Their mosque was really beautiful, and their architecture had many flowers which shows the impact Islam had. We walked along the markets in the mosque, where some of the poor were begging for money or the people trying to make a few yuan in their small shops, bargaining with the locals and the tourists. 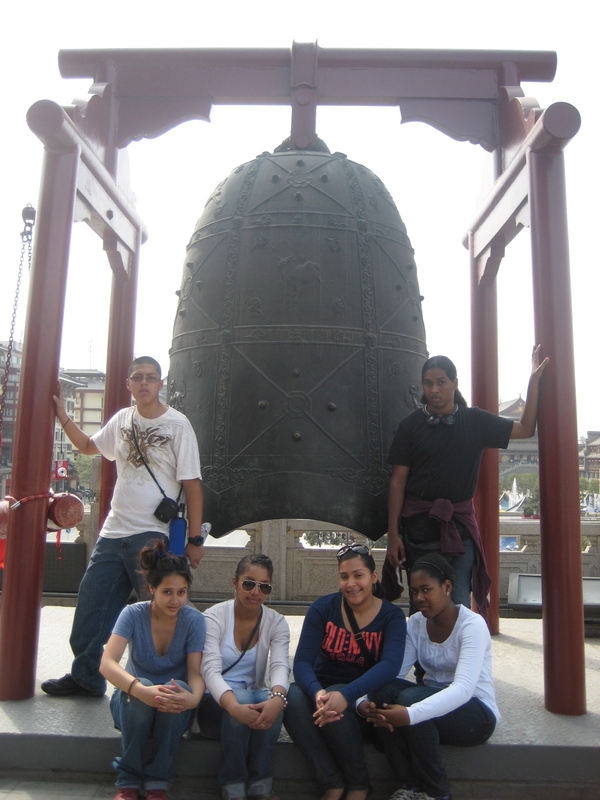 Also in the this day, we visited the ancient drum and bell towers. After we visited Xi’an’s City Wall, the wall that once protected the city like the Great Wall. This wall w rode bicycles on for a while, which was really fun. All of us were racing or helping Michael with his bike. I really felt like I was in China then because bicycling is definitely one of the most essential sources to the Chinese people. They either ride it to get to their job, to school, for leisure, or for whatever reason. The next day in Xi’an, we visited the terracotta soldiers, which I was really excited for because it’s something in our history books. A farmer found these thousands of soldiers in the 1970s. And ever since then, the city build a museum around it. It is believed to have protected a king in the first dynasty, because his mausoleum wasn’t so far from these soldiers. It was supposed to protect him in the “afterlife.” I couldn’t believe that this was an onsite museum, and the restoration of the soldiers looked well done. The idea of what happened to the soldiers and the secrecy of them really interested me. Archeologists determined that someone tried to burn the soldiers because of the ash found, and they were once protected because of the roof pillars. I really enjoyed seeing the soldiers, something also astonishing was how fast the once “countryside’ of Xi’an where the soldiers were found evolved so fast and became more city-like and touristy. Overall, I had a lot of fun visiting the historical sites, and the five star hotel was great. The train ride from Xi’an to Nanjing really opened my eyes also because I was able to see the countryside, and people with small houses that were crumbling and abandoned, lots of garbage, many crops, and people working really hard far away from the city. We went to the drum tower and saw a performance. Then Jose bought an ancient Chinese instrument (which I quickly learned to play). We walked around then to the bell tower. It was kind of the same. Afterwards we went to the City Wall gates. It was pretty long, so we rented some bikes. At first I was kind of nervous, because it’s been about 6-7 years since I last tried it, and I wasn’t even that good back then. But thanks to the little pride I had left (it was mostly destroyed by Alex and the other girls), I didn’t tell anyone, so I struggled for the first 5 minutes. Alex came back to laugh and make sure I was ok. Then I got it. I felt super awesome. But almost ¾ of the way going, the chain came loose. Thanks to my cousins in Ecuador I remembered something about bicycles chains so I fixed it. But coming back the chain broke twice more. So I found out the chain had a small dent which made it stick, then loose. Alex waited with me while Ms. McMurdo went with the others to drop them off. Ms. Lo then left to tell Ms. McMurdo to pick me up on the tandem bike. She finally returned, but with the passenger seat too small for me to even put my food on the pedals. So Alex had me borrow her bike, and we got back no problem. This was pretty fun. Then we returned to our 5-star hotel until the next day. We went to see the terracotta soldiers, and how people make their own new ones to sell. We made our own but couldn’t take it since it takes a week to harden. We then went to the train, and arrived after taking a nap (my picture was taken so I lost the sleep-photo war). Jose and I finished our drafts of our powerpoint so we went to crash with the girls. We had fun and decided to mingle with the locals. That was a failure, so we went back. We laughed some more and then watched a movie, but we all fell asleep, the 6 of us. The way we slept was pretty much organizedish. I had laughed at what some people did at the middle of the night, like calling for some verbs. Next morning we found out our teachers had woken up thinking about breakfast, then Jose and my disappearance! During m time in Xi’an I remember visiting a few interesting places. 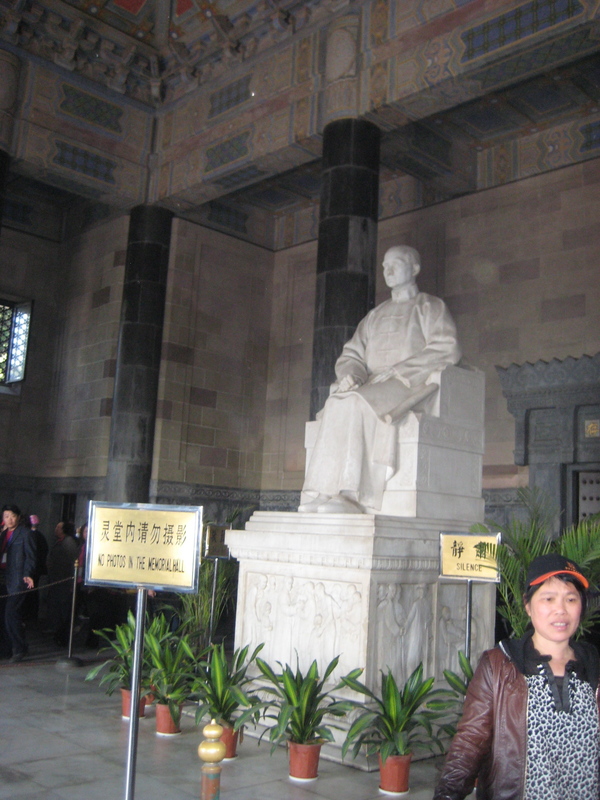 The first day in Xi’an the group and myself went to visit a museum in which I learned a lot about Chinese history. One thing I remember learning is the rule of the first emperor of China, who became emperor at the age of 13. Something very important that this emperor achieved was the unification of China. The second day in Xi’an the group and I went to visit the city walls of Xi’an, where we all rode bikes. During this time, I decided to try to teach Monica how to ride a bike because she didn’t know how to ride one. Before we all went to the Xi’an wall, we first went to visit a bell tower and a drum tower where I heard a lot of beautiful music. One interesting thing that I saw there was that drums come in different sizes and shapes. The last day in Xi’an we went to visit a pottery museum where we were taught how to make miniature terracotta soldiers. 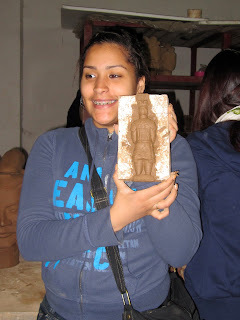 After we learned how to make a mini-terracotta soldier we explored the museum and we looked at many sculptures. After the museum we went to visit the actual terracotta soldier museum, which was one of the most amazing things I’ve ever seen in my life. After leaving Beijing we arrived at Xi’an. 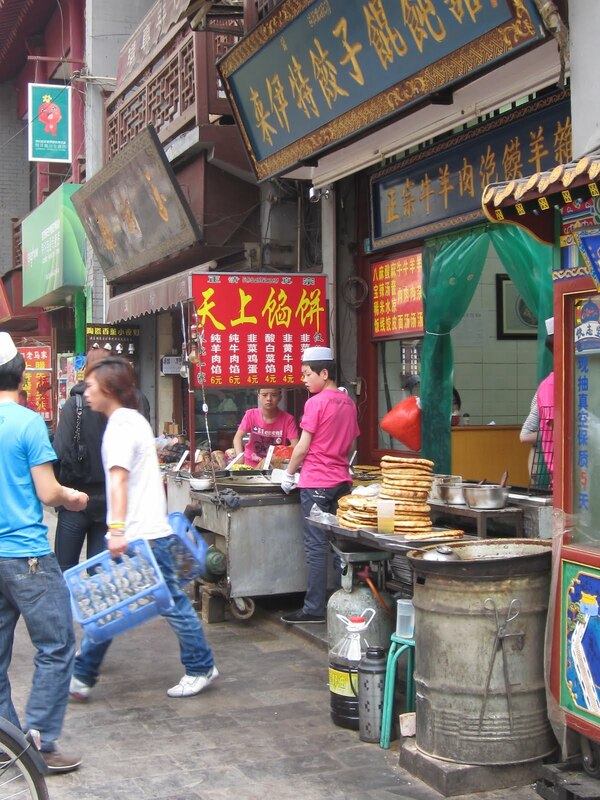 Xi’an is rich in history and culture. Xi’an is one of the four Great Ancient capitals of China. 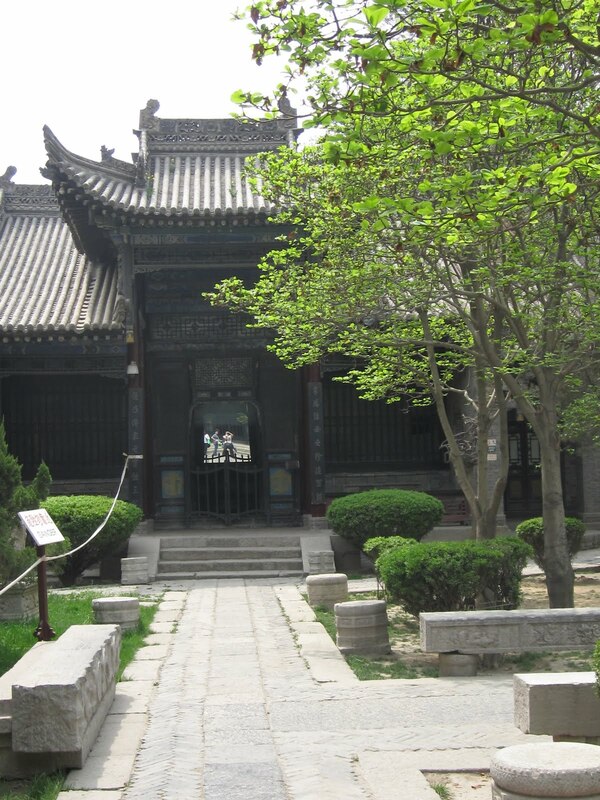 In Xi’an I learned that China was unified under the Qin Dynasty. The first emperor of China, Qin Shihuang, ordered the construction of the terracotta soldiers. The terracotta soldiers were discovered in the spring of 1974 by farmers diggeing a well. These terracotta soldiers were meant to protect the emperor’s spirit after death. At the site of the terracotta soldiers, we also ate lunch. We had handmade noodles for the first time. Personally, I think handmade noodles are the best. It was interesting to view how they are made. The most memorable moment in Xi’an was our free day, where we explored the city. It is in Xi’an that I saw Muslim Chinese. I always knew there were all types of religions all over the world. 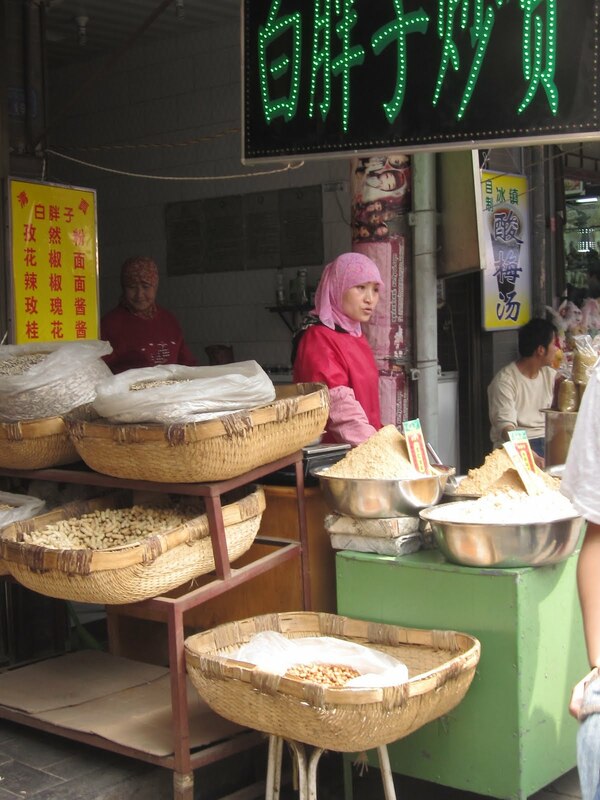 However, it was difficult to picture Muslim Chinese until I saw them in the flesh. We went to a mosque which was beautifully constructed. After visiting the mosque we rode bikes around the walls of the city. This was the highlight of my trip to Xi’an, because I’d never ridden a bike before. Who else can say they learned how to ride a bike in China? The first day we got to the hotel. We changed(ish) and crossed the street to eat. Most of the food was spicy. It was good but unexpected. The girls sat together and Jose and I sat with Ms. McMurdo and Ms. Lo. Then we went to our rooms. Keyla is with Julian, Monica and Alex are together next door, then farther down is Ms. Lo and Ms. McMurdo. Two rooms away are me and Jose. We changed, took alkaseltzer, showered, and went to sleep. The next day was our first full day. We got up and showered, changed and went down to eat breakfast. It was a buffet and we ate a lot. Then we headed out with Kathy, our tour guide, who was cool, to the Great Wall to become men. We quickly realized how hard it was. ¼ of the way up, we were all struggling, except Ms. Lo and Keyla. Then we stopped and went down because Julian felt bad. 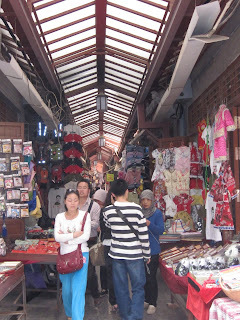 We also went to the Jade Market. It looked very beautiful but expensive! 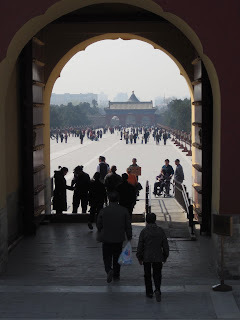 Day 3 we went to the Forbidden City and walked A LOT! Not cool, but it’s the past. We saw their subway and the buildings, we also went to the Temple of Heaven, where we danced, played kick-feather (I’m good at it) and made a pyramid for a group photo. Skinny Jeans--to wear or not to wear?